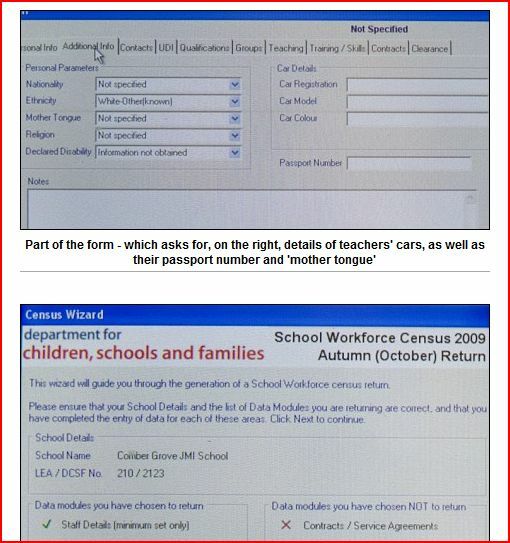 The Belfast Newsletter published a story highlighting the creation of a Department of Education master database containing records of all school children. Ms Ruane’s Department of Education has developed the multi-million pound eSchools Data project which is currently being phased in across the Province. It allows each school to view details of their own pupils, parents and staff — but some officials at the Department of Education will be able to access information about any entry. PACE members wonder if this is the same level of responsibility exercised by the Education Minister applied to post-primary arrangements and the numeracy and literacy failures of the primary schools? While not a word of concern has been raised by Northern Ireland MPs or MLAs on this subject teachers in Kent have expressed fury over a census which asked them about what car they drive. Source: Mail on Sunday. Glen Owen Political Corespondent. George Orwell couldn’t have anticipated this unintended consequence when he wrote 1984. It took a Northern Ireland Education Minister linked to the IRA’s Columbia Three to find a back door entry into intelligence gathering methods.